And transform your whole being into the image of the Godhead Itself through contemplation! So that you too may feel what His friends feel as they taste the hidden sweetness which God Himself has reserved from the beginning for those who love Him. In every human heart, there is hunger for the Infinite, for Some–One, the One we come to know through the gift of faith. The One and the Only, Who alone can satisfy the human heart. Many paths lead to Him. For the daughters of St.Clare, the one etched out by her, has a unique excellence, in rousing us to catch hold of Him, Is. 64;6 and thus finding our true self. She introduces us to the path by simply stating: The form of life of the Order of Poor Sisters is this: to observe the Holy Gospel of Our Lord Jesus Christ by living in obedience, without anything of one’s own, and in chastity. 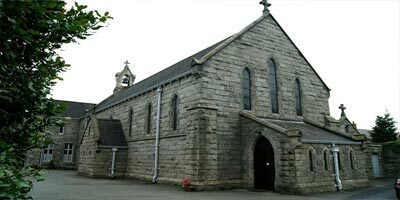 We, the followers of Clare are a community of sisters wholly dedicated to prayer. The centre and highlight of our life is the daily Eucharist and we strive to give the Lord the praise that is due (ps. 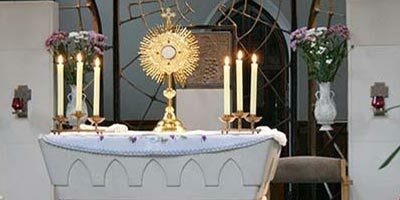 146:1) seven times a day through the liturgy of the hours, the Prayer of Church. We also spend an hour and a half (though not continuously) each day in private prayer with him. Our Prayer is our mission in the Church and the world. It touches every person and lifts up the whole earth into the merciful Heart of God.